For those of you wanting to study and pass the VCP 410 exam you need to know this isn’t something that’s easily done, I have heard it mentioned that VMware expect that 50% of people taking the exam for the first time fail it but I haven’t managed to verify that figure myself. 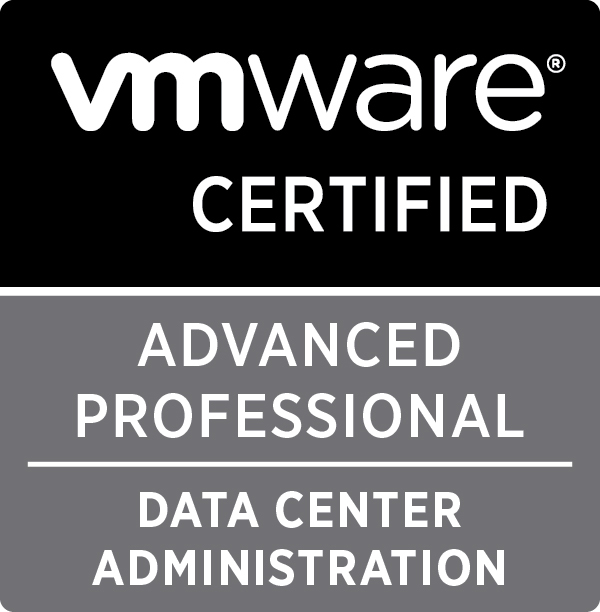 I do know that VMware are very keen to ensure that those holding the VCP have done it the right way and I believe that they have it right by requiring people attend an accredited course, of course that in itself does give you the required knowledge to just pass the exam and that’s hopefully where this post can help. Wanting to pass the VCP 410 exam has been on my agenda for a while, having got over the main hurdle of the required course (I sat the VMware ICM course at the 360GSP VMware Academy) I next had to ensure I had enough in the way of additional material. For my study prep I have been using the following books, both physical and kindle editions (I own some of these books twice, once in each format). Each book is dipped into when I need to read up on something, be it home lab environments in Maximum vSphere or some light hearted banter in the vSphere for Dummies book. In addition to using the above mentioned books I have also used a ton of other material, obviously there is the VCP Blueprint but in addition to that I have also downloaded the following PDF’s and had a read through them. iSCSI SAN Configuration Guide : Explains how ESXi and iSCSI storage works. Fibre Channel SAN Configuration Guide : Explains how ESXi and FC storage works. vSphere Availability Guide : Explains in detail how HA and FT work. vSphere Resource Management Guide : Explains resource management which covers both DRS and Resource Pools. Make sure you have a good understanding of resource pools, reservations and resource shares. Configuration Maximums : Explains the tested and recommended limits for the vSphere products, covers ESX, ESXi and vCenter Server. I was recently advised that sitting the VTSP (VMware Technical Sales Professional) course before attempting the VCP would be a good idea and that it has helped other people who have gone on to pass their VCP exam, the difference between the VTSP and the VCP is that the VTSP is a free self paced exam, the only criteria is that you need to be a VMware Partner (again, free depending on your program). The VTSP program is an online, self paced course that’s designed to be completed in approximately 10 hours, obviously your mileage may vary so in all honesty double that. There are also a couple of excellent blogs where you can go and get some important information, these include the SLOG. where Simon Long has detailed a large amount of information for the VCP 4 exam, the upgrade to the ESX\ESXi 4.1 material is currently being done and is work in progress, there is also Scott Vessey’s blog which has a load of material\links to help you out with your studying. Finally the one piece of advice that I would stress as being the most important would be to get hands on experience, obviously not everyone is able to run full size lab environments in their home or office but there are definitely solutions out there for those of you wanting to practice, whether that’s using the VMware Workstation 7 product (which supports running the 60 Day VMware vSphere Evaluation) or buying a little HP Microserver and putting 8gb of ram in it to have a play around directly with vSphere, whichever solution you go with the more hands on experience you can get the better chance you have at passing the exam. Hi – How current is your material as in pertains to the current version of the VCP410? Oh, and what is the current state of your lab? I would like to do something like that. 833 days, 20 hrs and 6 min.